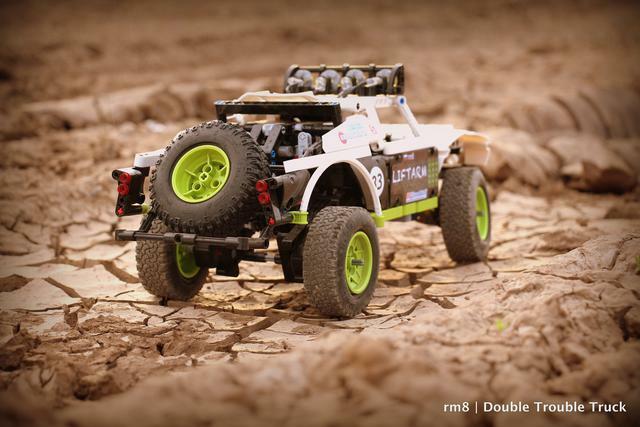 Dear moderators, please rename this topic to [MOC] Trophy Truck "Double Trouble"
Video is available, enjoy and comment! Here comes double trouble. 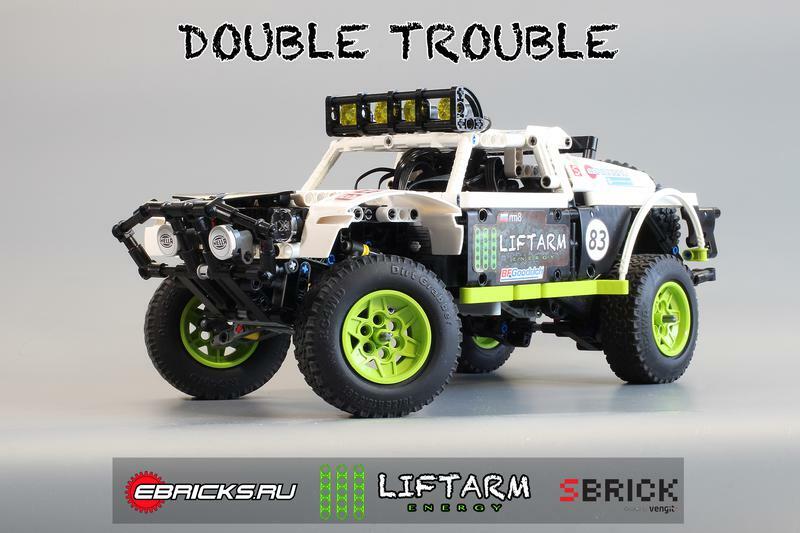 Twin powered double trouble True liftarm energy! This is my new Moc. And it is ready: I am working on photo/video. Here is some photos and info while you wait for video. 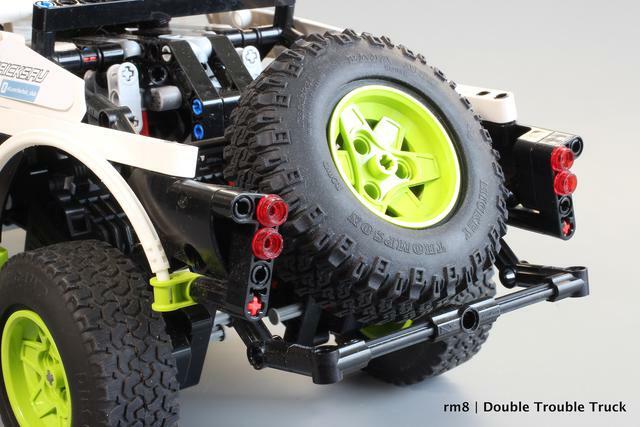 Rear live axle with built in Buggy motors. Internal space is filled with electronics. Unfortunately there is no free space for cockpit. Suspension travel is about 4L. I will drop down and show it on video later. 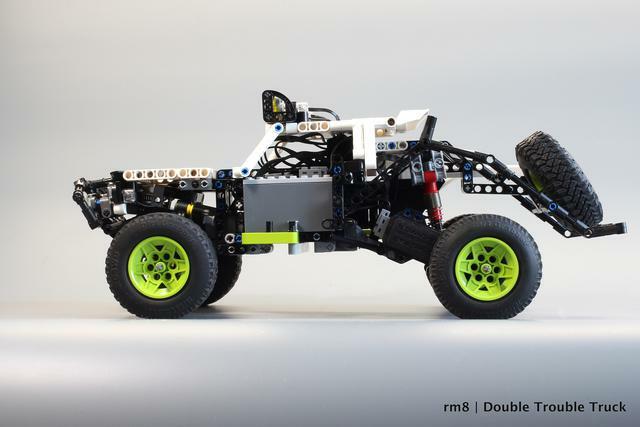 You know, LEGO suspension is always jerky, so you cant make big mocs drive straight, especially when it is fast and big. Positive caster helps to return wheels in center postition and fights with steering system backlash. It also makes shock absorbers work smoother and softer, IMHO. Very good and realistic tires. 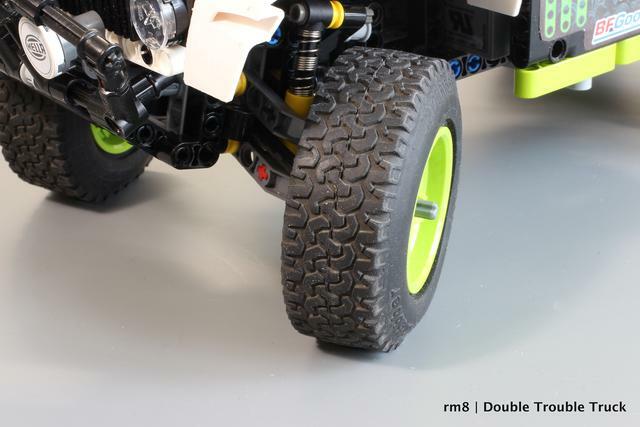 Sad that there is no similar proportions tires in LEGO assortment. These are 75 mm with wide almost equal to medium 43 mm racing wheel. 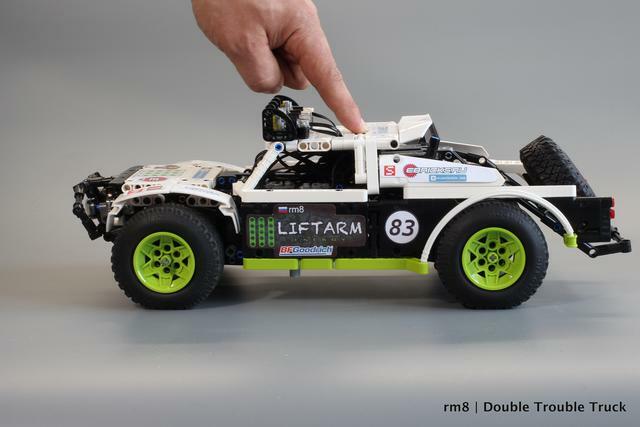 Model is driving fast enough for its weight and even drift donuts indoor, but outdoor shows the the weakest part - LiPo. I should try to lock differential thermistor for insane driving. After "baja" outdoor drive I replaced all damaged wheel axles and going to film its indoor's donuts and at asphalt outdoor to reach maximum speed. I hope it can reach at least 10 km/h. So "why double trouble"? - it is hard to fuel buggy motors. And here we have double of them. I can only assume that it'll be Hella Cool, based on the headlight covers. 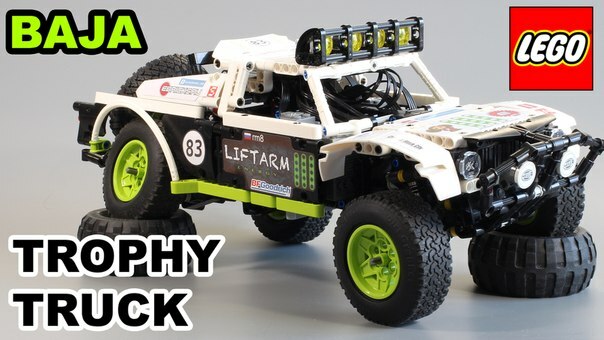 I really want to Look at the hole MOC! 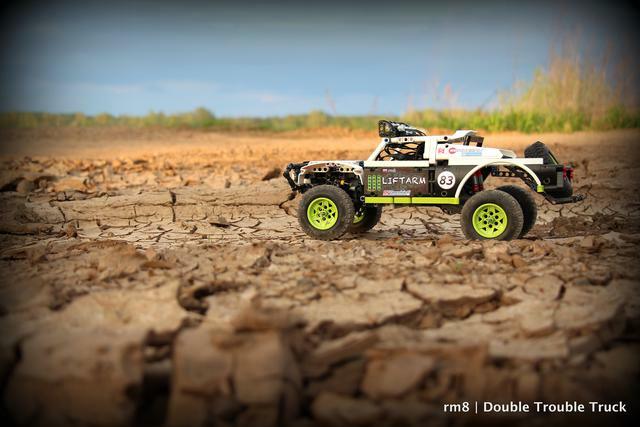 1.55 dirt grabbers from rc4wd. I have used them on my baja boss. Btw baja, is double trouble a baja truck? Wow that looks awesome. I'm looking forward for the reveal to see what kind of motors it going to use. Next step was increasing number of motors to 2 pcs with almost the same scale size. I have enough space to put a second LiPo in the cockpit. But then I decided to make wheels larger - 62 mm. 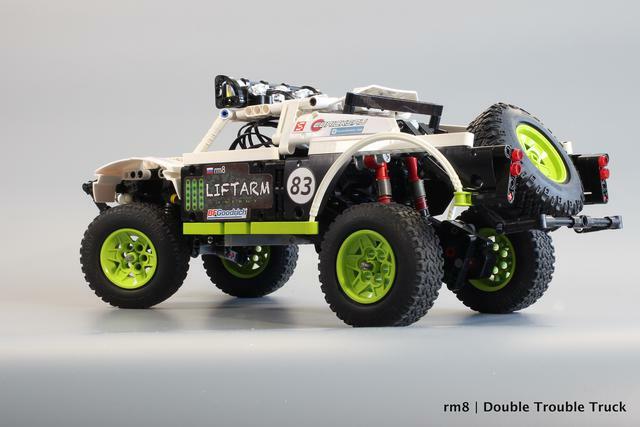 After model was enhanced, I surprisingly found that it grow up and asks for larger tires than 62 mm and positive caster.. I can't reach max speed on sand. So today I ll try to film if on flat and clean surface. watch update in the head of this post! Now that looks awesome! 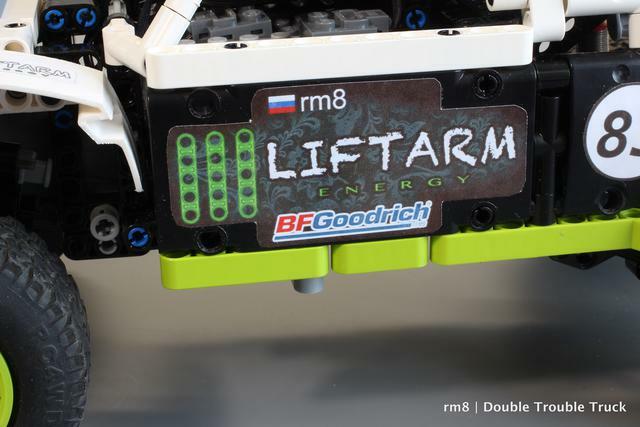 Each buggy motor has it own LiPo battery pack and Sbrick. Do you need two smart phones to work this or just the one. No, only one phone, and only one button/slider for that. 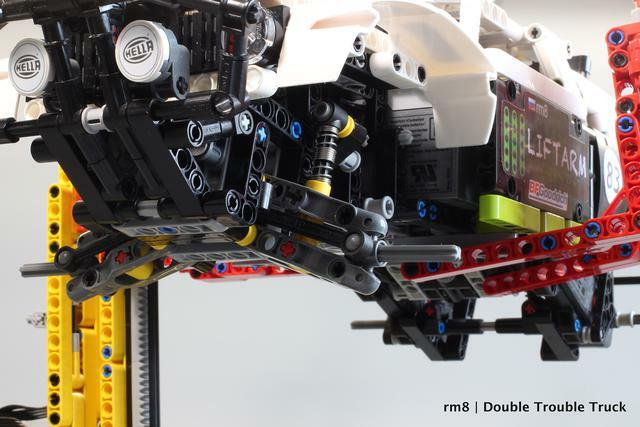 You just need to link ports of SBrick's that are connected to Buggy motors to one control button/slider. You can easily connect one button to all ports of one/many SBrick devices. Thats easy! 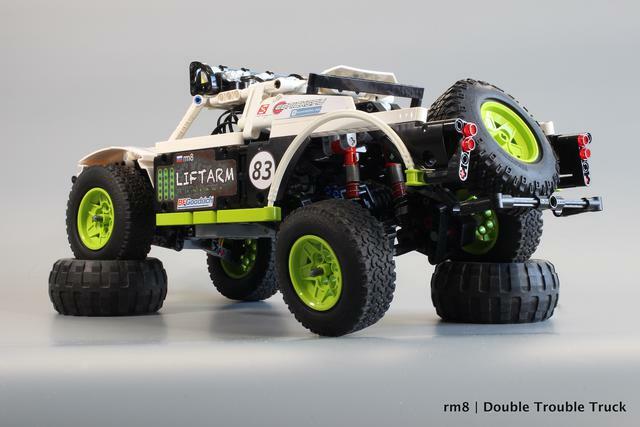 Cool MOC! 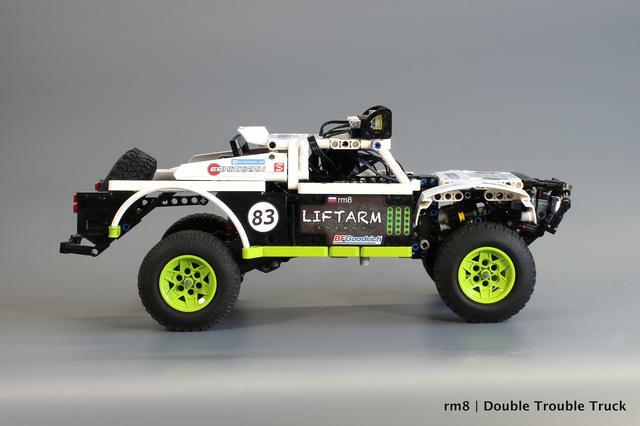 I've been wanting to build a baja truck, but I'm still waiting on a RC motor and I still don't have a receiver. 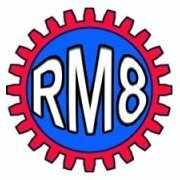 awesome MOC rm8!! 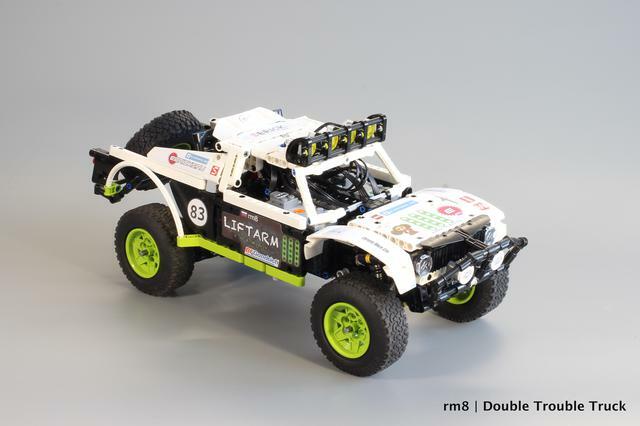 but why you want to modify legoBB if you can power the sbrick with normal RC lipo batteries? :3 waiting for the video! I can say more, 2 of 4 my LEGO LiPos have too early protection enabling. I even marked them to not to use them in powerful MOCS. May be there is a difference in thermal resistors characteristics or they are damaged by extensive use or charging with 12V 3rd party transformer (usually I do it with 9V, but I did it with 12 V sometimes). One AFOLS told me he tested modified LEGO LIPO with different load configurations including 2 Buggy and 6 XL motors - everything works fine. 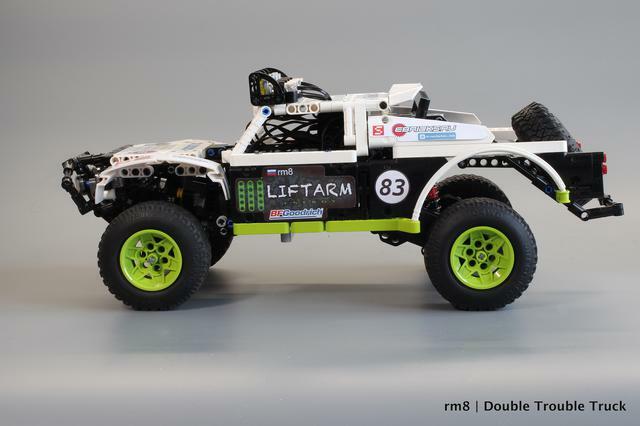 I don't want to use Rc lipos, cause I don't have Rc and don't want to buy Lipo+ charger now. LEDs don't eat too tiny amount of power comparing to loaded M motor. I can say more, 2 of 4 my LEGO LiPos have too early protection enabling. I even marked them to not to use them in powerful MOCS. May be there is a difference in thermal resistors characteristics or they are damaged by extensive use or charging with 12V 3rd party transformer (usually I do it with 9V, but I did it with 12 V sometimes). One AFOLS told me he tested modified LEGO LIPO with different load configurations including 2 Buggy and 6 XL motors - everytnong works fine. Holy cow I really can't wait! I've been working on a very similar project for the last ~9 weeks, and your specs tell me this is gonna be... what I wanted to do, damn well done. Very cool truck! It looks particularly tires. It suits him.